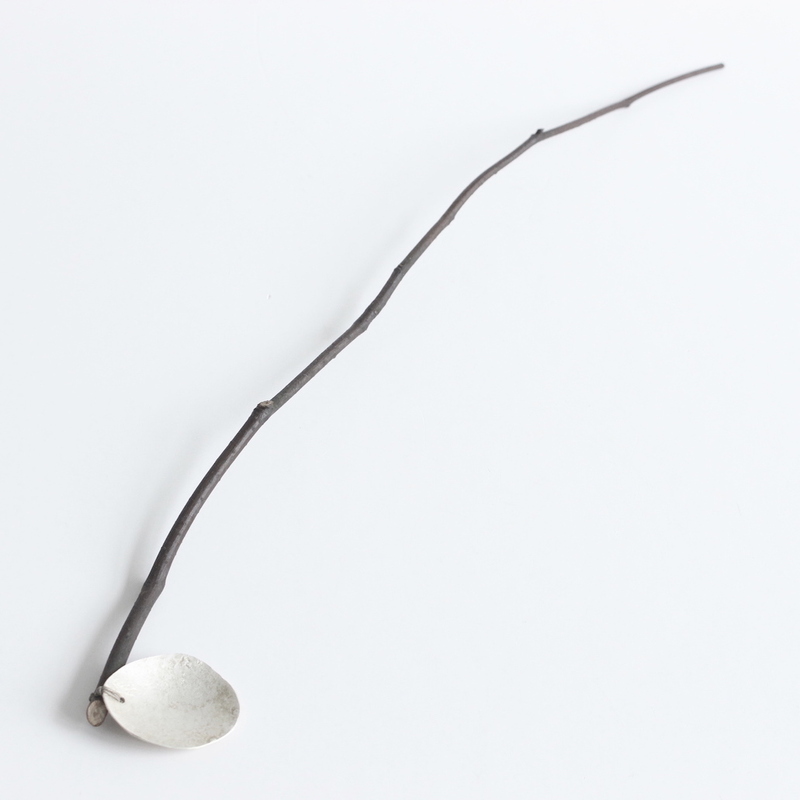 This spoon is made of beech wood, gently clipped from a childhood tree friend, linen thread and silver. 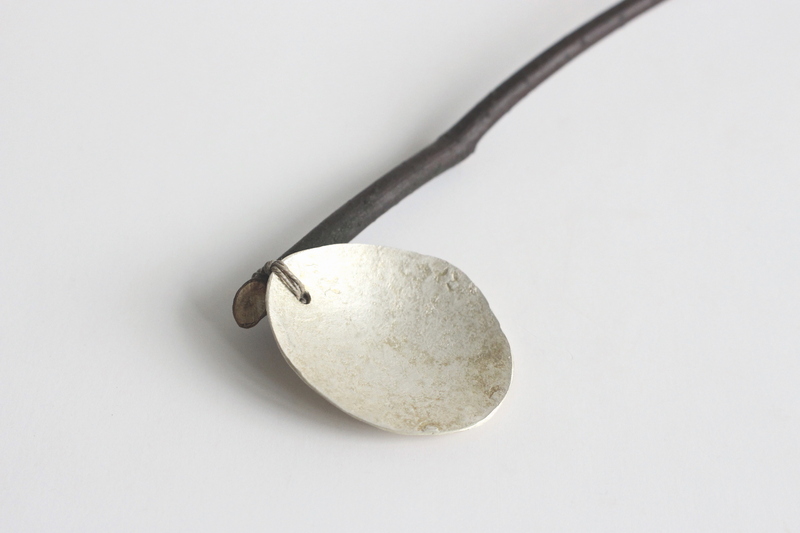 Part of Sharon Adams’ first collection of fragile eating tools. 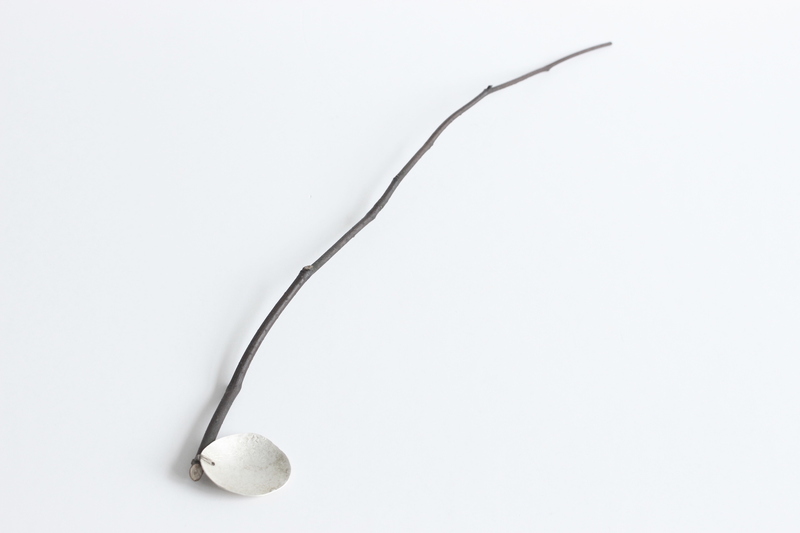 Memory is strengthened by repetition, therefore each spoon addresses 7 archetypal tasks over and over again: brush, scoop, poke, cut, rake, look, hit. It is an act of remembering. Techniques used: foraging, trimming, piercing, doming, drilling, soldering, binding. 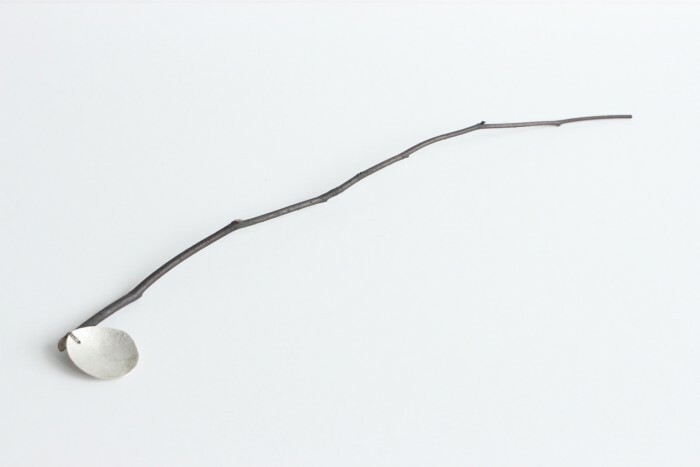 Cleaning instructions: The piece can be carefully cleaned with water and soap. Wipe the piece dry with a cloth and leave it so the remaining moisture can evaporate. Once the piece is dried apply a bit of linseed or walnut oil.